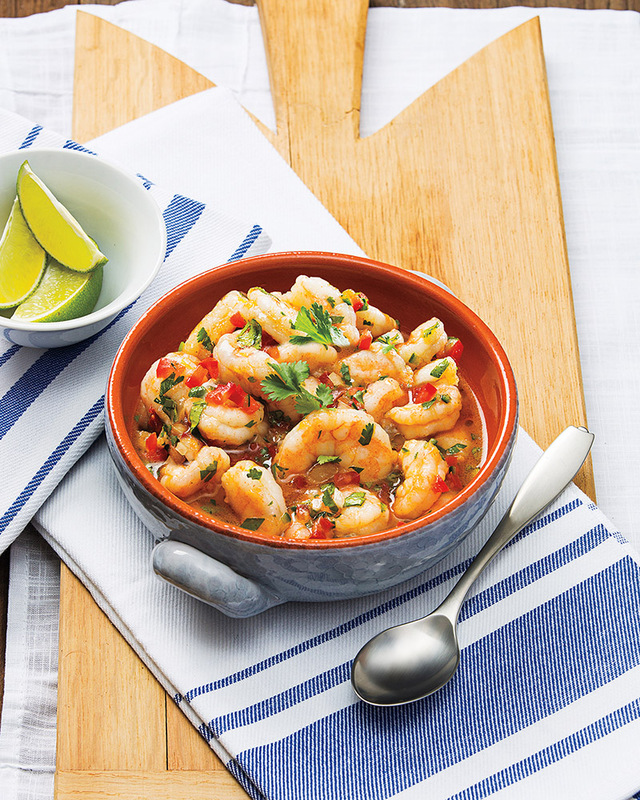 2.In small bowl, whisk together oil, sugar, paprika, salt and remaining 2 tablespoons each lemon and lime juice. 3.Pour off liquid from shrimp mixture. Add tomatoes, cilantro, onion, serrano and oil-juice mixture; toss to combine. Serve immediately with tortilla chips garnished with lime wedges, if desired. Makes about 3-1/2 cups.